Nokia’s recently announced “Booklet 3G” was a big shocker for most of. My first impression of the netbook was that it looks very neat and it almost has the Macbook look to it. It weighs 2.7 lbs, and it is 2cm thick, and the all aluminum case to top it off. The new netbook is going to be running off of a 1.6Hz Intel Atom Z530. The netbooks screen is going to be 10.1’, with an impressive 12 hour battery life. The Booklet has built in HSDPA 3G, so you can expect the 3G connectivity to be very fast. The Booklet is Bluetooth enabled so no more taking wired microphones on the go. The Booklet also comes with Windows 7 Starter Edition pre-installed, which really surprised me because this is one of the first to offer Windows 7 on a netbook. The HDMI output allows you to plug into your TV in HD, and also lets you watch videos in 1080p. The Booklet comes with Assisted GPS and a swappable SIM card. This netbook will be running at the high price of $799, I say the high price because, the RAM usage will double because it is running Windows 7, instead of Vista or even XP, so in my opinion you will not be getting the best performance from this computer. Which if all you are using the computer for is school work, office work, or browsing the internet, then this computer should be fine for all the basic needs. But I wouldn’t suggest downloading, playing high performance games or storing mass amounts of files, just because of the amount of RAM being used just to run windows 7. I would suggest this netbook for the “average” computer user, or as a gift for going back to school. This is definitely one of the most impressive netbooks I have seen so far. I am still very skeptical about how the overall performance of the computer will be. 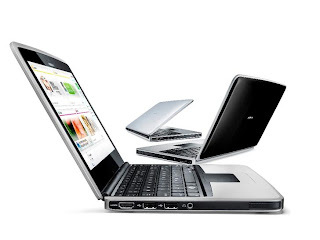 But it is definitely worth checking out; Nokia just set the standards for netbooks. The future is going to be interesting, seeing if their competitors like Dell can keep up with Nokia. Yeah, this is the one i was searching for" the great bateery life". sir, you didnt mention about its wi-fi connectivity. is it fast and works smoothly? please you must define this also. Thanh you. So far I haven't heard any complaints about the wi-fi. So I am assuming that it works fine, considering that it is one of the top preforming netbooks on the market.